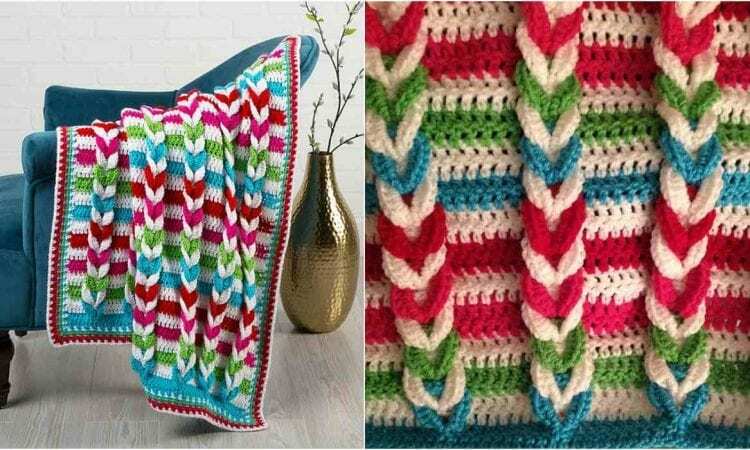 This adorable braided stripe blanket pattern is made in a baby size, but there are also instructions for making a larger blanket. Kids will love the colours and the original texture of this pattern. For more free designs every day follow us on Facebook. The link to the pattern is below. Pulled Taffy Blanket – visit the free pattern site. More details about yarn used in second photo you will find here. So sorry, we don’t speak Spanish. use Spanishdict es muy bueno para traducir este patron. This is the blanket my husband’s grandmother taught me to crochet with. I still love making it. Where can I find this pattern, it’s beautiful. Where can I get some help with the pattern instructions. You can join and ask in our Facebook group.